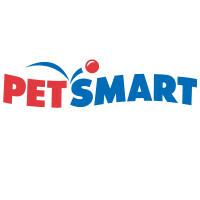 Providing lifetime services, solutions, and goods for the needs of pets, PetSmart is the largest specialty pet retailer in the world. It operates in the United States, Canada, and Puerto Rico. The services they offer also include the sale and adoption of animals. The Company was founded by W.R. Ford Smith II and Jim Dougherty in 1986, in which its first two stores opened in the Phoenix area. Its original name PetFood Warehouse was then changed to PetSmart in 1989, and to PetSmart in 2005. The company has now employed more than 55,000 associates. It also has more than 1500 stores and various locations in US, Canda, and Puerto Rico. The company offers great benefits and insurance to its associates. It is committed to giving its employees affordable and competitive health and wellness plans, and also a 401(k) Plan. Employees love to work in the company as it offers a great working environment, nice and professional associates, and a great place for pet lovers. The benefits and coverage are also competitive. How old do you have to be to work at PetSmart? Job applicants must be at least 18 years of age to be eligible for a position. However, age requirements may vary depending on a branch’s guidelines and the positions you are applying for. The company provides numerous job opportunities in home office, store locations, distribution centers, salons, merchandising, marketing, information technology, and PetsHotel call center. Sales Associate: They are responsible for selling products to customers and educating them about what the products are. They are also tasked to provide customers nice shopping experience, help them identify the problems, and provide the best solution for their pets. Pet Groomer: They are tasked to treat customers nicely, build personal relationships with your clients, and give customized styles for the pets depending on the instructions and liking of the customers. They will learn the personal styles of the pets, and do modifications, improvements, and stylistic choices for the grooming. Pet Trainer: They are responsible for learning proven techniques to train pets. They need to be knowledgeable about dog behavior and learning theories, do hands-on training with pets, and provide engaging and efficient training course activities for both the pets and owners. Fish Health Manager: They are responsible for leading a team of 5-8 members in receiving animals and taking care of their overall health and well-being. They need to know about common fish diseases, life support operation for aquatic life, and water quality control, among othersThey also need to maintain safety and health standards of the company at all times. Services Supervisor: They bear supervisory responsibilities in the distribution center. They are tasked to monitor inventory control, audits, damage and quality control, and problem solving. They also manage work scheduling, performance counseling, communications, and assigning of duties and responsibilities. Pet Nutrition Consultant: They need to have a grasp of the nutritional content of pet foods, the holistic supplements necessary, and the right nutritional plan for pets. With positive and friendly attitude, they are tasked to answer the questions of the owners and identify the best solutions for the problems at hand. Pet Salon Manager: Pet salon managers are responsible for leading the entire salon team during all procedures. They will build relationships with customers, ensure that the customers have the best salon experience, and uphold the company’s standards and meet the production goals. Cashier: Their duties primarily include sales transactions. They operate in a cash register, receive and count payments, and provide appropriate changes. They’re also responsible for answering the questions of customers about specific products, problems, and issues in the establishment. PetsHotel Reservation Agent: They operate mainly in the call centers of PetsHotel. They talk with customers nicely, record reservations, and answer questions and concerns about up-to-date details of the establishment. They’re also responsible for readily giving valuable insights about the products and services offered. Salon Assistant: They typically have all-around duties in the Salon. They assist in the washing area, grooming area, cash register, and in catering to the needs of all customers. They may also be tasked with clean-up and sanitation procedures in the salon. In order to apply, you may directly submit application forms along with your resume to hiring managers in any PetSmart establishment. You may also use the online application to submit your details. The online application may be accessed through the company’s website. The website also provides list of available positions, company establishments around your area, and the details and requirements of the career opportunities. The online application is much better in terms of convenience. However, if you can directly submit your application, you can better show your personality and qualities that could contribute a lot to the company. Your resume may be improved through elaborating the experiences, activities, and qualities you have that are relevant to the position you are applying for. Furthermore, a well-crafted and genuine resume could improve your chances. During the interview process, you need to really show the hiring managers who you are as an individual. Through talking nicely and eloquently, elaborate on the endearing traits that make you unique and qualified for the job. Take note that you need to learn how to balance showing off your personality and remaining professional. PetSmart is a company that values its customers, employees, and the pets that are coming in and out of the store. Providing excellent services and products at affordable prices, the company perpetuates its culture of excellence. The company is on the lookout for people who will uphold the company’s standards, give utmost care to the customers, and contribute to the company’s development and success. In 2017, the company acquired Chewy, an online retailer of more than 30,000 items for pets. This expands the company’s services, as the Chewy provides various pet foods and pet-related products. The company is known as the largest pet specialty retailer. It is known for its excellent variety of products, grooming services, and training lessons for pets. PetSmart continues to achieve its production goals while following ethical, environmental, and social standards. They ensure that during all procedures, every product and service meet environmental and health standards. Furthermore, the company ensures that all customers and employees are treated equally and are given fair opportunities. 1 How old do you have to be to work at PetSmart?